Slonimsky's Thesaurus of Scales and Melodic Patterns is the gift that just keeps giving. 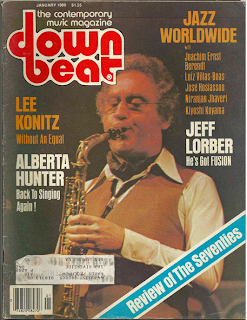 There is so much great material in this book that can be adapted for Jazz improvisation. It is arguable that there would have never been a Giant Steps or Countdown if it were not for this great book. There is still so much to be learned from the TOSAMP and just about everything in it sounds super hip. 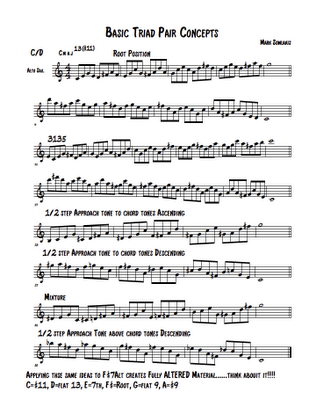 Markos has extracted some lines from the TOSAMP and created some nice exercises for saxophone (or other instruments). Thanks Markos! 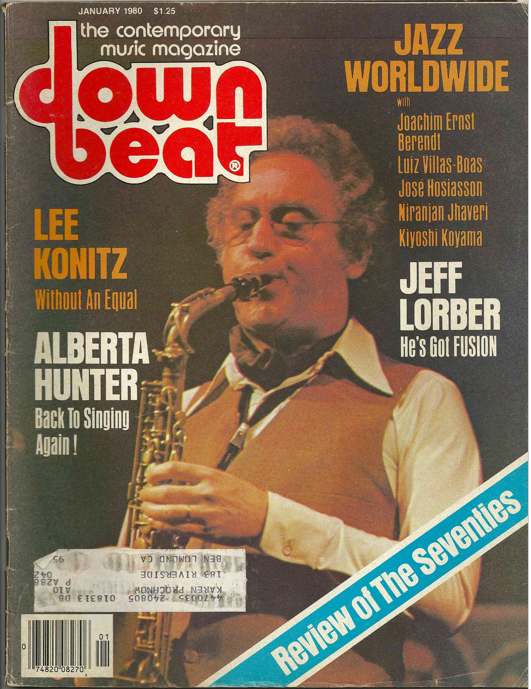 More great stuff from Mark Sowlakis, four nice Konitz transcriptions (w/ an analysis of Billie's Bounce) and some scans of a Downbeat feature from 1980. Thanks Markos! 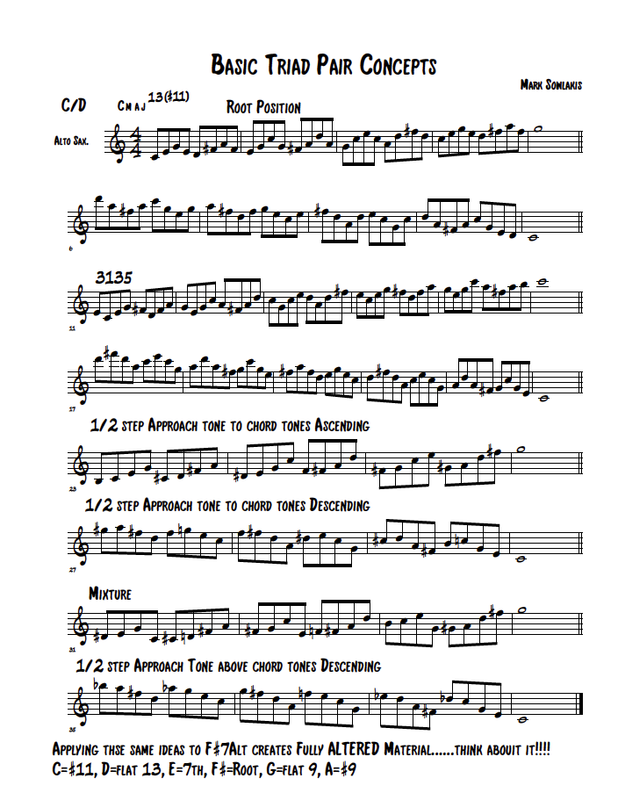 Regular Casa Valdez contributor Mark Sowlakis put together this sheet of Triad Pair exercises. I took over the Jazz saxophone professor position at Portland State University a few weeks ago, so I had to design an entire teaching curriculum for undergrads and graduate students in a hurry. One of the components of the curriculum I devised was a graded series of proficiencies. Something that impressed me about Berklee's program was the woodwind department's proficiencies. It wasn't anything revolutionary, just very thorough and well thought out. By the time a Berklee performance woodwind major gets out of school they (at the very least) have a solid gasp on the fundamentals of musicianship (scales, arpeggios,intervals, ect). I wrote Bill Pierce, the woodwind department chair, to see if I could get a copy of the the woodwind proficiencies and he was kind enough to direct me to the department's web page where they have posted complete documents detailing the different levels. Berklee is on a semester system, so there are eight levels for the four year program. PSU is on a trimester system, so I had to split those eight levels into twelve. I also added a few things to the requirements that I thought were important to know. These proficiencies would be a good way to to approach practicing the fundamentals for any woodwind student, or for any teachers wishing to be a bit more organized in their teaching practice. When I was down in L.A. earlier this year playing at the Blue Whale I met a saxophonist named Alex Sadnik, who runs Break the Mold, what several musicians tell me is the best continuing Jazz concert series in the L.A. area. Alex books highly interesting forward thinking L.A. musicians for his series and has also started interviewing many of these musicians for a podcast series of the same name. So far he has interviewed 33 different players for the series. 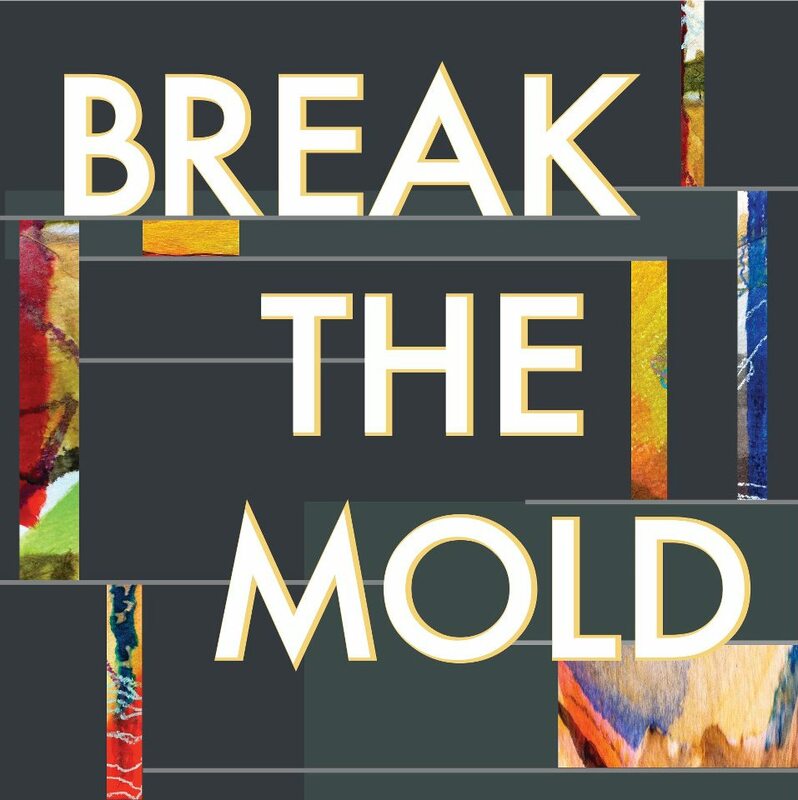 If you were ever interested about what the real Jazz scene is like for the guys in the trenches playing creative music then you should check out these podcasts. Alex is an intelligent interviewer and he has chosen some great interviewees. I hope to play at Alex's concert series next time I am down south.